Canadian whisky combines with orange curaçao, lemon, and a hint of bitters to create a Canadian cocktail. It's easy to mix up and a simple way to enjoy the profile of a good blended whisky. The recipe uses the basic "cocktail" formula of a base spirit mixed with sweet, sour, and bitter ingredients. It's the foundation for all cocktails that dates back to the earliest mixed drinks bartenders mixed up in the late 1800s. The same formula can be found in popular recipes like the brandy cocktail and used with any of the base distilled spirits creating, for example, a "whiskey cocktail" or a "gin cocktail." This recipe just happens to specify Canadian whisky. In a cocktail shaker filled with ice, pour the whisky, liqueur, juice, syrup (if using), and bitters. The Canadian cocktail was designed to show off a great whisky. You'll find it best with premium brands and well-aged whiskies. Look for older expressions and the specialty bottlings many Canadian blenders produce; it's a great recipe to use when discovering a new-to-you whisky's full potential. Make sure that your orange liqueur matches the quality of the whisky. The most inexpensive bottles of curaçao and alternatives like triple sec can be very syrupy and artificially flavored, leaving a lot to be desired in simple recipes like this. Plus, you'll use orange liqueur all the time in your bar, so a small investment will improve all your drinks. Likewise, fresh lemon juice is the best option for great tasting drinks. You should be able to get about 1 3/4 ounces out of one whole lemon, which is enough for three Canadian cocktails. Adding a small amount of simple syrup may only be needed with some whisky-liqueur combinations. Use your judgment and follow your personal taste to decide whether or not to add it. Adjust the curaçao and lemon as needed, too. Though it's typically served up, the Canadian cocktail is also nice on ice. For the most enjoyable sipping experience, use a single large ice ball or cube because it will melt more slowly and reduce dilution. Make this same recipe with other styles of whiskey if you like (it technically won't be "Canadian," but just a "whiskey cocktail"). 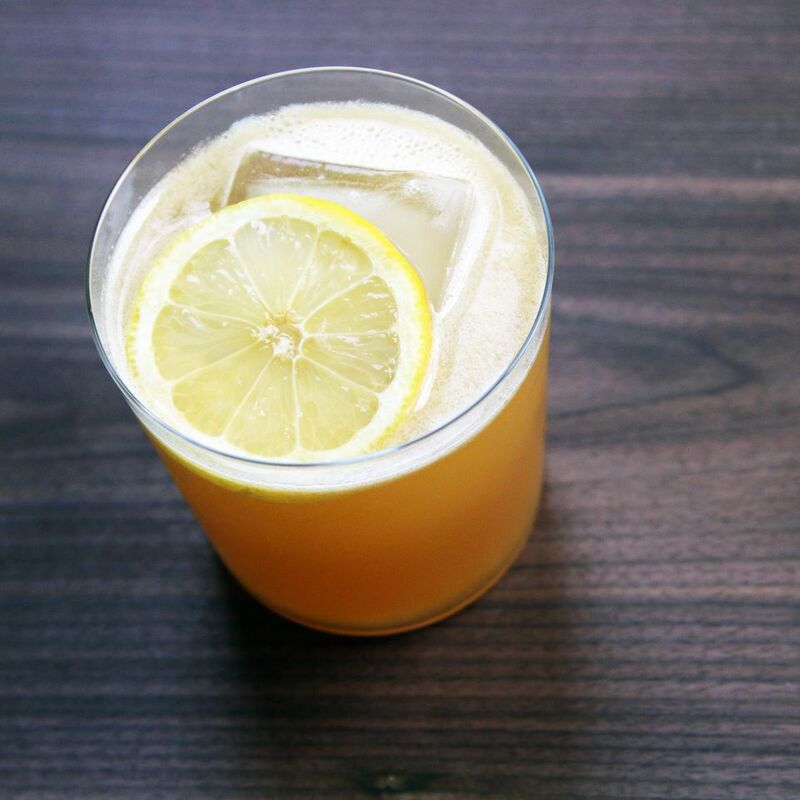 A bold rye whiskey or really flavorful bourbon are great candidates for the sweet-sour enhancements. How Strong Is a Canadian Cocktail? The Canadian cocktail's alcohol content is going to depend on the strength of the whisky you choose. For example, if you pour an 80-proof Canadian whisky, it will weigh in around 24 percent ABV (48 proof). While it's not a light drink, it's also not as strong as the Manhattan.